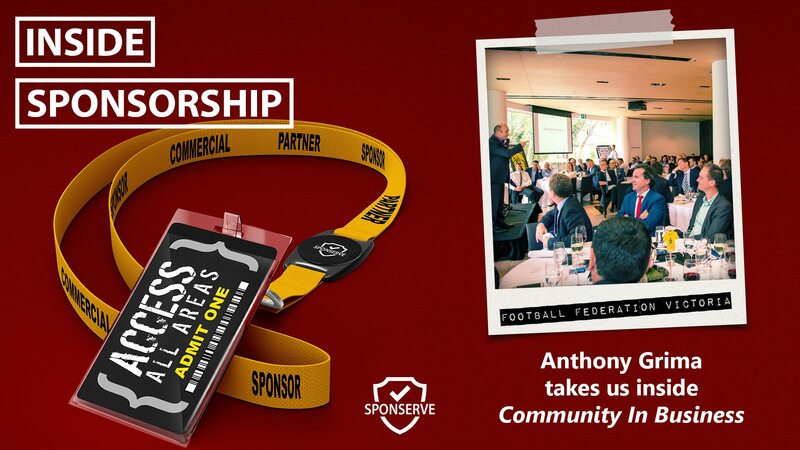 In this Inside Sponsorship episode, Anthony Grima, General Manager – Commercial & Media at Football Federation Victoria, takes us inside FFV’s Community In Business. It is a great chat that covers everything from idea inception, creation and then execution and there is real detail around objectives and how to engage. Football Federation Victoria are the governing body for football (or soccer) in Victoria, Australia. They are recognised as the organisation responsible for the administration, promotion and delivery of football and futsal (indoor football) in the state by both the State and Federal Governments, as well as Football Federation Australia. FFV’s funding derives from membership and club affiliation fees, government grants and of corporate sponsorship. You can learn more about FFV’s Community In Business program at http://www.footballfedvic.com.au/cib/ as well as on social media at Facebook, Twitter and LinkedIn. Also, Mark Thompson talks to us about some of the key elements in a successful pitch structure. You can read Mark’s blog in full here. As always, if you have an idea for a topic, someone you’d like us to have on the show or just a question, then be sure to get in touch. Did you find this content useful? Subscribe to receive all of our content direct to your inbox.